The voluntary CQC Mark Certification process is similar to the CCC certification process After the acceptance of application by the CQC, the Chinese authority will request test samples. The test samples will be tested in approved Chinese test laboratories according to the official Chinese GB standards. After the testing in China, a factory inspection at the manufacturing facility will be required. 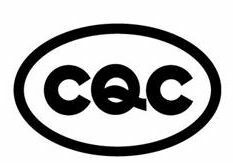 If the lab tests and facility inspections pass, the CQC will issue the CQC Mark Certification for the product. The marking should be prepared according to the requirements of the certification authority before the receipt of the CCC certificate in order to save time. After the receipt of the certificate the products can be marked. The CQC certificate is required to be renewed annually as part of a follow-up certification, which includes a factory inspection. The factory inspection is always conducted by auditors from the CQC, other authorities are not authorized to conduct the factory audit.